$1075 to purchase an embroidery sewing machine to promote her sewing business. Mehrubon is a talented seamstress. She is unmarried and lives with her parents in a house. 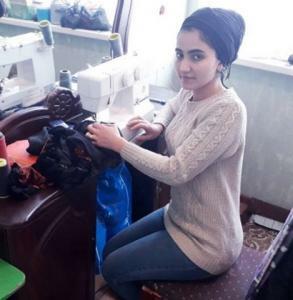 She is 22 years old and is a very bright young woman from Firdavsi, Tajikistan. Mehrubon is engaged in sewing at home. Her mother taught her this profession. Mehrubon started her sewing business six years ago. She accepts orders for Popuri style traditional embroidery and for traditional women's dresses. Now Mehrubon is asking for a loan to buy a new embroidery sewing machine. 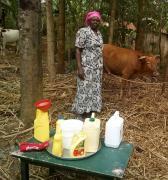 She wants to expand her business and improve the financial situation of her family. Loan use to purchase an embroidery sewing machine to promote her sewing business.